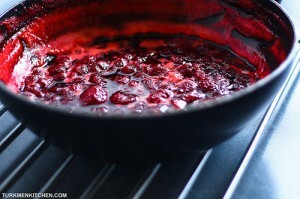 Place the strawberries in a colander and rinse under cold water. 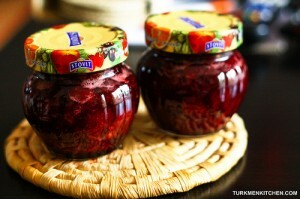 Remove the stems. Empty the colander into a large saucepan or wok. 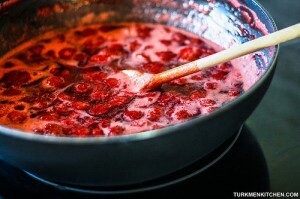 Add the sugar, and leave to macerate for 3 hours. 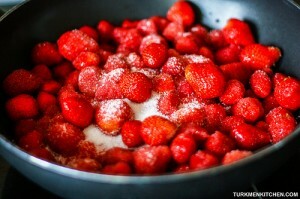 Stir the strawberries over medium heat until the sugar has dissolved. 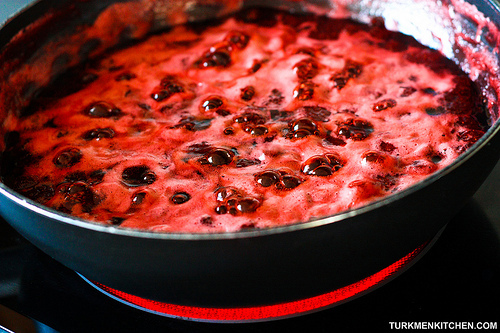 Bring the strawberries to a gentle boil for 5 minutes. Remove the pan from the heat, and leave for 6-8 hours (to keep the strawberries whole). Put the pan back on the heat. Bring to a boil and cook until the jam has thickened, about 10 minutes. 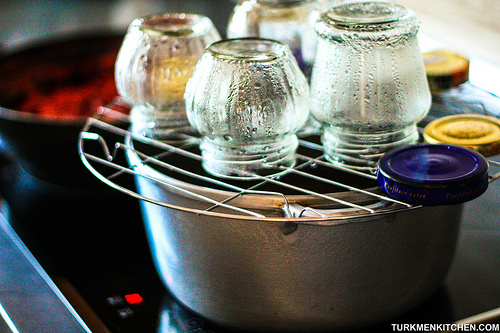 In the meantime, sterilize the jam jars: wash the jars and lids, and place them upside down on a wire rack over a pot of boiling water for 15 minutes. 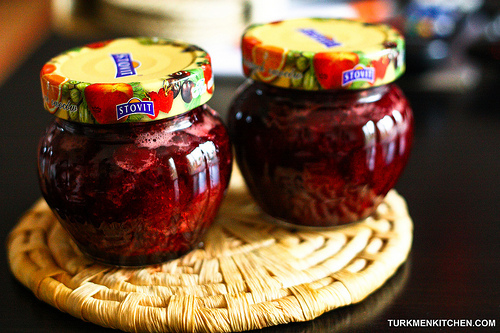 When the jam is ready, carefully remove the jars and lids from the rack with a towel. 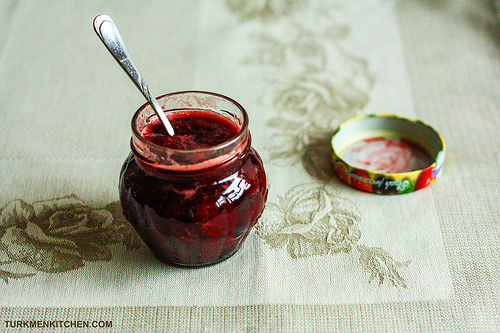 Ladle the hot jam into the hot jars, and tightly screw on the lids.